A province in Thailand famous for its monkey population laid out an annual fruit buffet on Sunday (November 27) to thank them for bringing in tourists and helping the local economy. 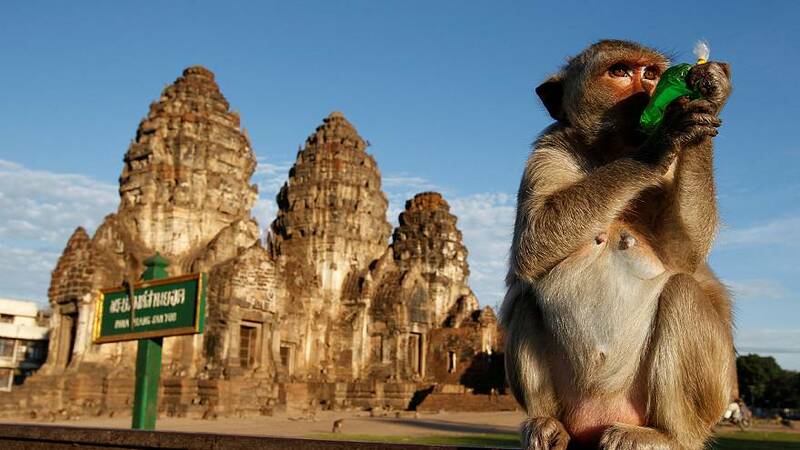 The event in Lopburi province, also known as the “Monkey Province”, is for the thousands of Crab-eating Macaques, also known as Long-tailed Monkeys, which live there. The monkeys have the run of the town, climbing over buildings and onto visitors. Most are harmless but some apparently like to nip.